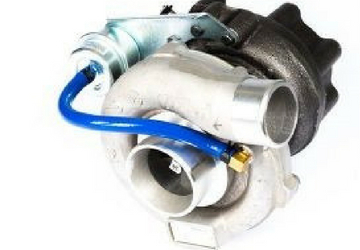 You’ve come to rely on the genuine Perkins turbocharger to maximize the performance of your engine. But at some point, even this stalwart will need to be replaced. Go with a knockoff brand and you risk reducing your engine’s capabilities, potentially costing you more money and time. Beyond buying a new replacement, Perkins has two more great options that give you a genuine Perkins turbocharger to get your engine back to its old self. Even better, you’ll save money on both choices. The first option is our New for Old program. You give us your old turbocharger and we’ll give you a new one with a cost savings of about 15 percent and a 12-month parts warranty. That leads us to the second option, a remanufactured turbocharger. Perkins takes the core from old turbochargers and uses those as the base for remanufactured turbochargers, ensuring the integrity of Perkins’ engineering and manufacturing standards. You’ll lose zero performance and save an average of 30 percent of the cost of a new unit. Each remanufactured turbocharger is built to original OEM specifications using an existing core and will include all engineering updates since the original engine was purchased. All parts are tested and quality assured by Perkins engineers to ensure each turbocharger performs to the same standard as new. These units also come with the same 12-month warranty. You can exchange your old turbocharger for a remanufactured one through our Power Exchange program. To see which option best fits your needs, contact your local authorized dealer to get detailed pricing and warranty information. They have the training and expertise to professionally install your next turbocharger and get your equipment running at its peak performance.